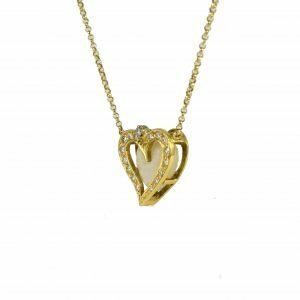 A very distinctive Daou design combining a white gold pavé diamond heart cleft with a sculptural highly polished yellow gold twisted branched leaf pattern. 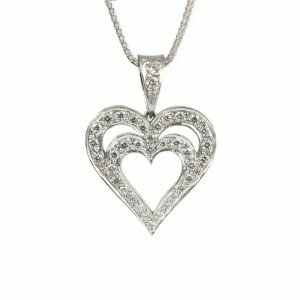 A detailed diamond heart pendant sweet and delightful. 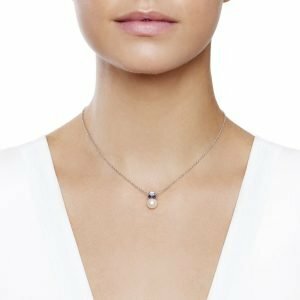 Hand made with a special tiered setting made to envelop a special stone center, here an Opal showing pale pink and green flashes. 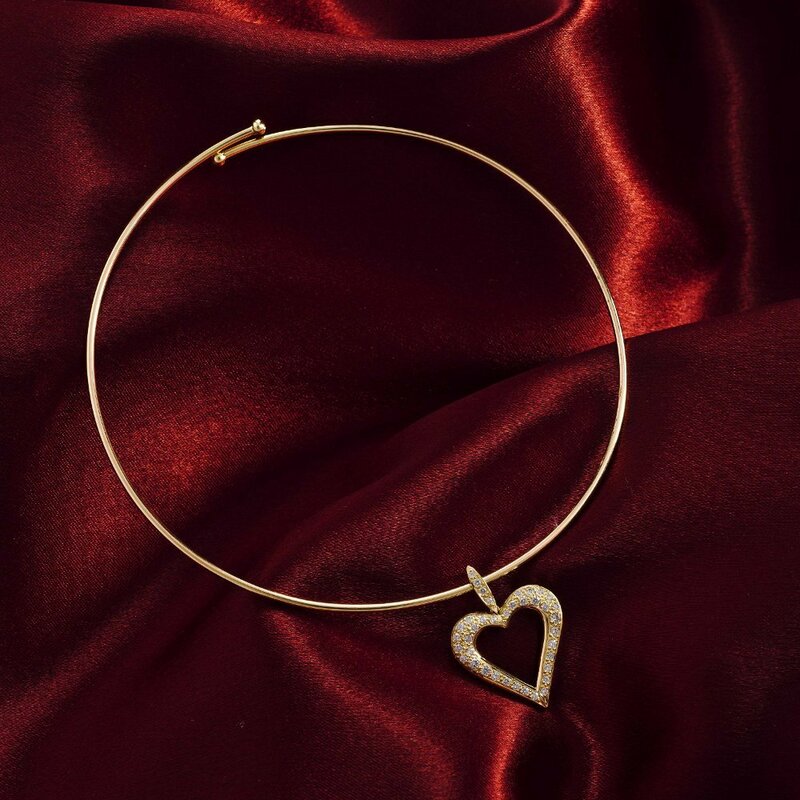 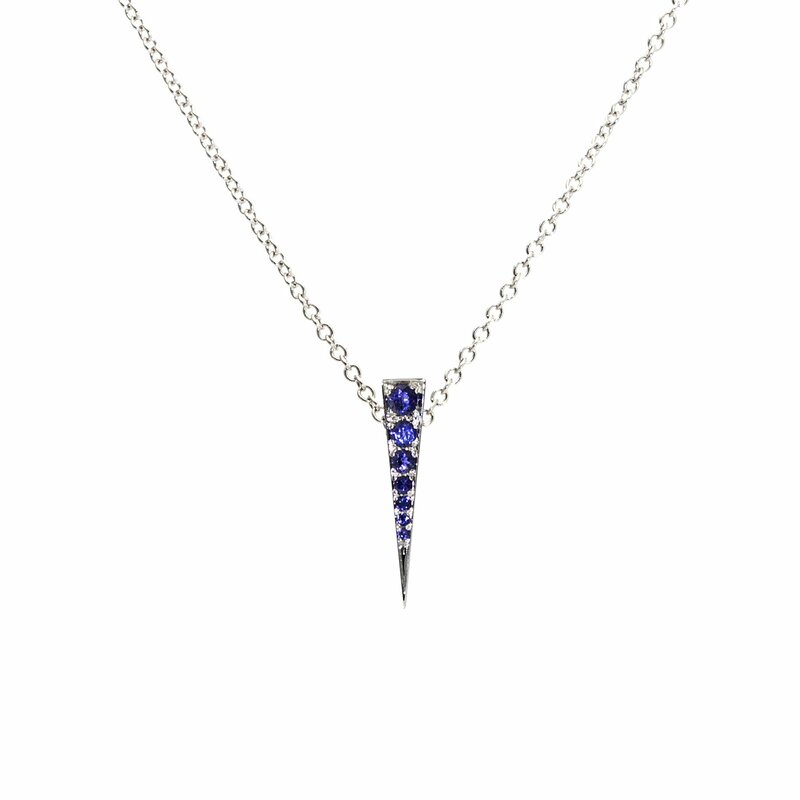 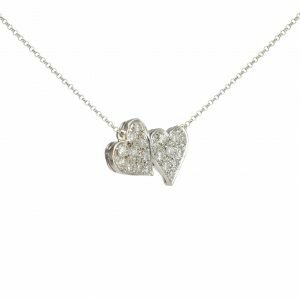 Handmade in London and hallmarked, set with diamonds and finished with 18 carat gold chain. The unique tiered setting and edging and to the reverse show the quality and attention to detail in Daou jewellery. 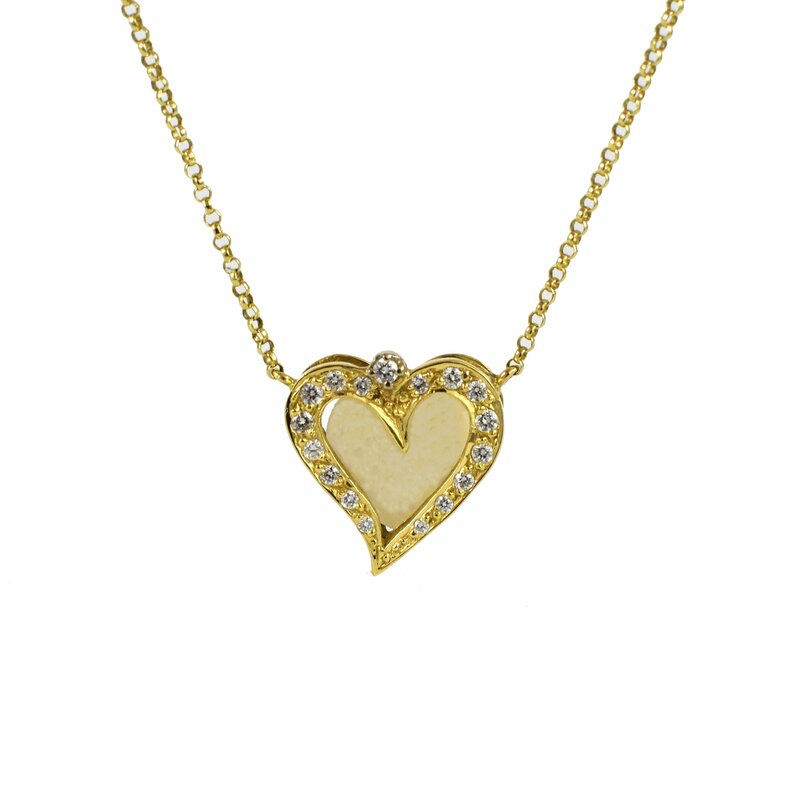 Yellow Gold solid 18k Diamonds 17 round brilliant ~0.4ct, Opal heart center, Chain length 18inch, 45cm, Pendant measures 1.5 × 1.5cm. 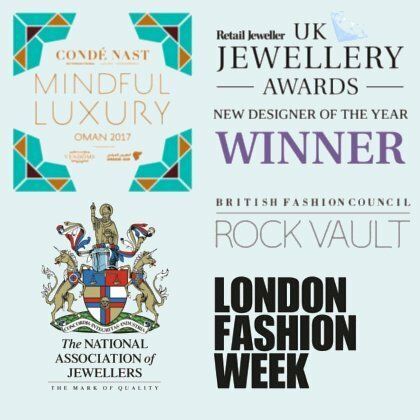 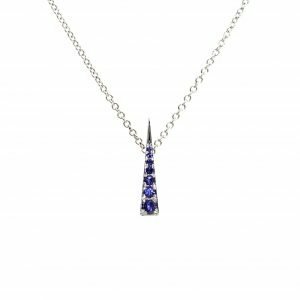 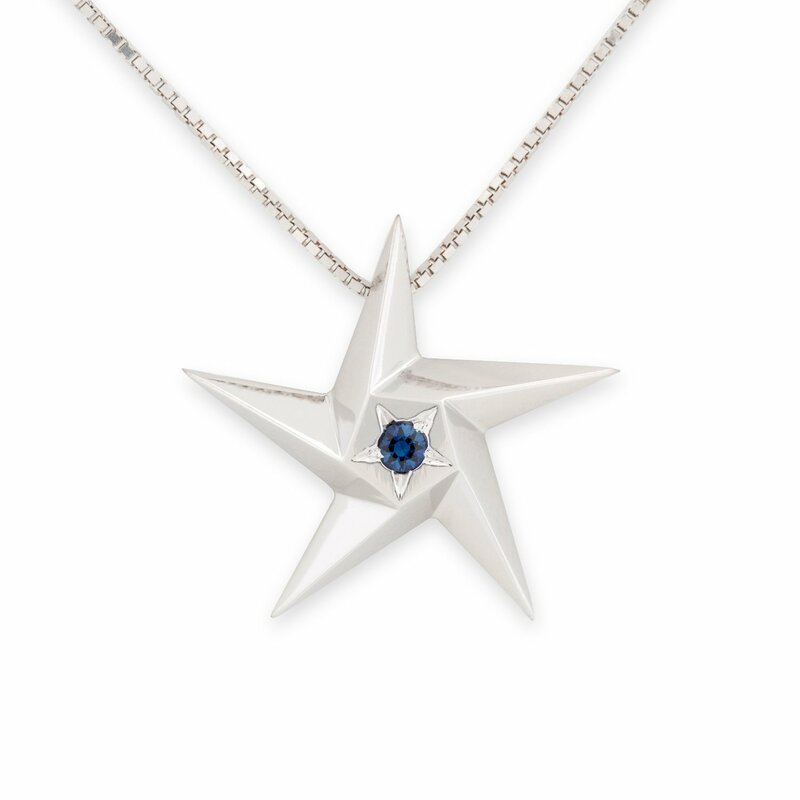 The pendant can be created with a personally selected central stone on request, for example a favourite colour or birthstone. 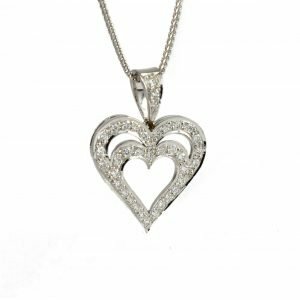 The Heart in Heart modern timeless diamond pendant cleverly uses negative space to highlight the detail of the heritage inspired design, with a very beautifully shaped diamond set bail loop adding to the considered detail. 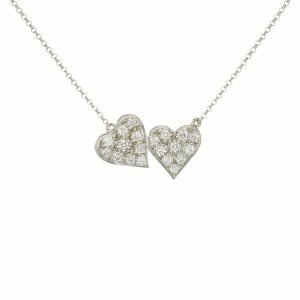 The diamond heart pendant necklace is set in 18 carat white gold. Handmade in London and hallmarked with details in the framework and diamond set bail loop, edging and diamond settings. 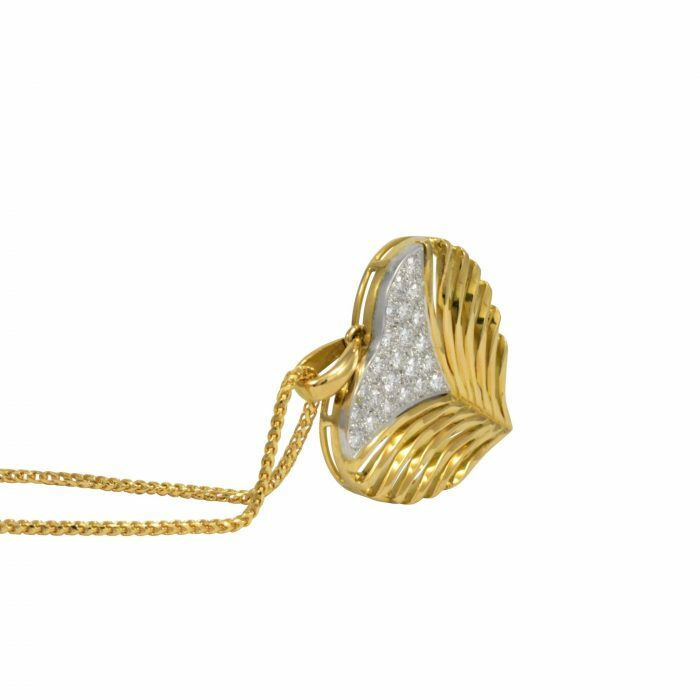 White Gold solid 18k Diamonds 37 round brilliant ~1.1ct, Chain 18inch, 45cm, or 16inch on request, Pendant measures 2.2cm wide, 3cm long. 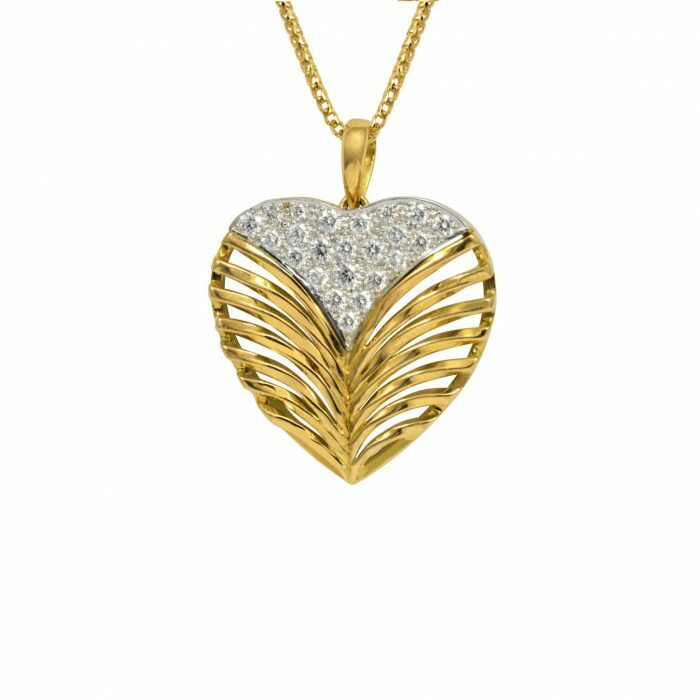 Also created in Yellow Gold. 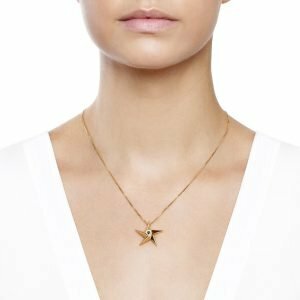 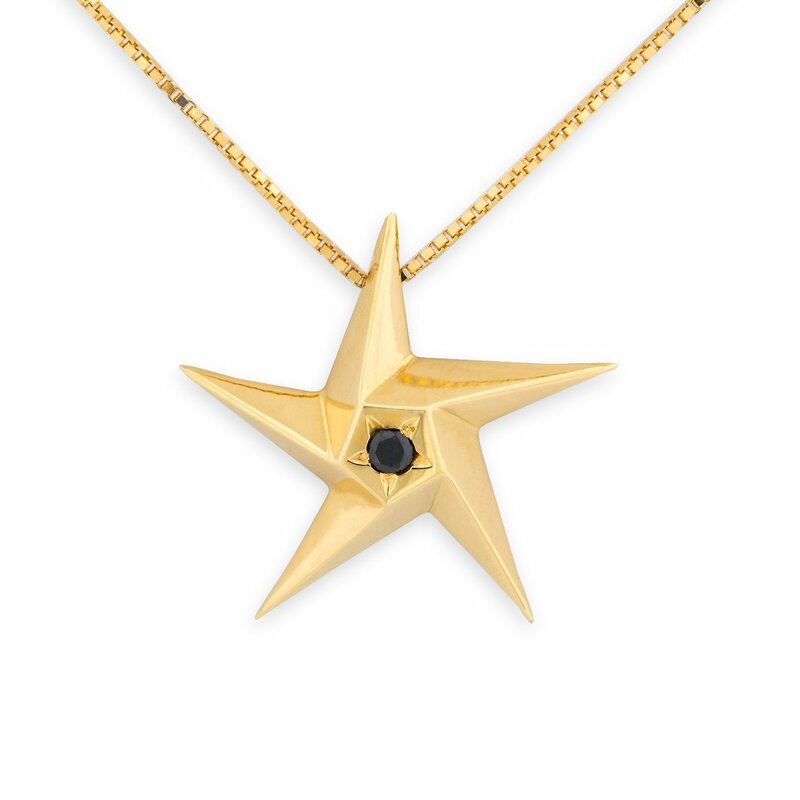 The iconic modern Daou star pendant set with your choice of gemstone. 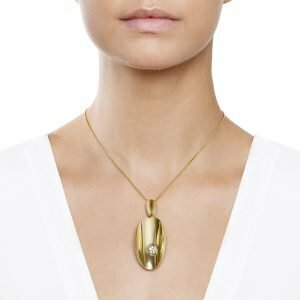 An elegant sculptural design floats on the wearer catching the light on its highly polished facets. 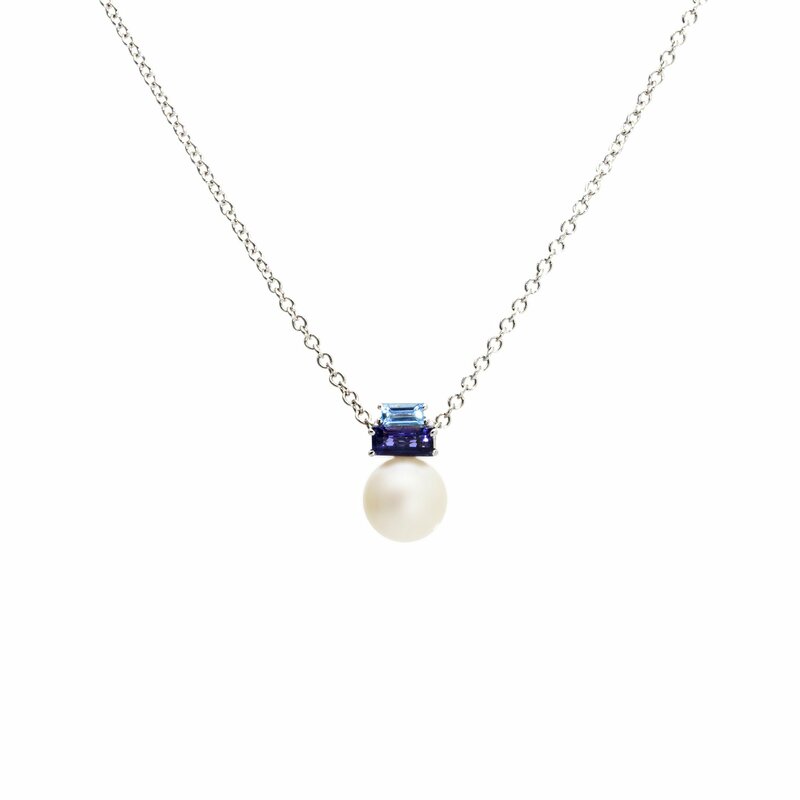 Gemstone, round brilliant cut, 3mm diameter. 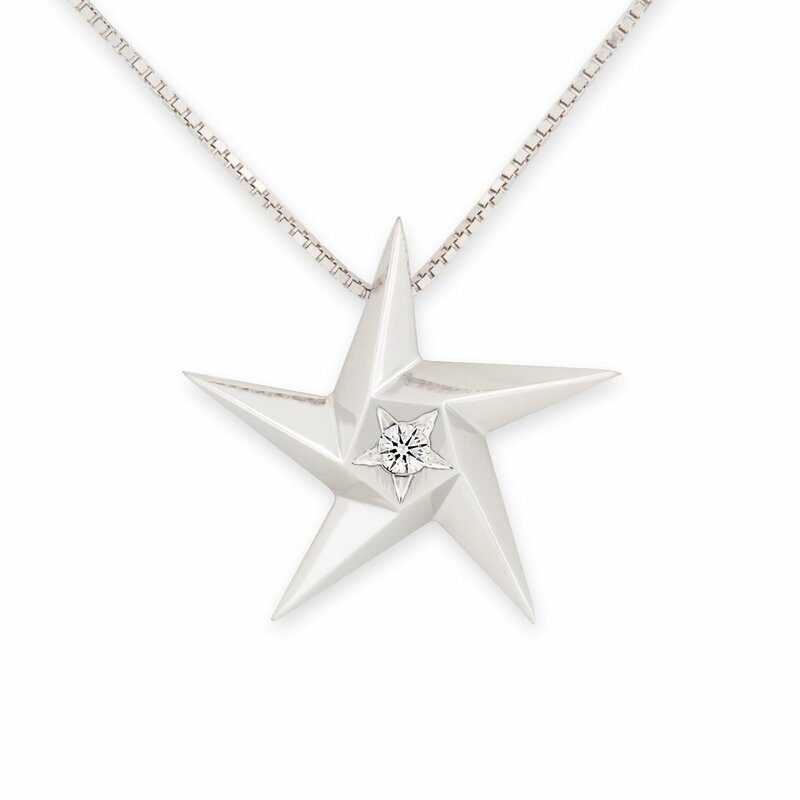 White gold, solid 18 karat. 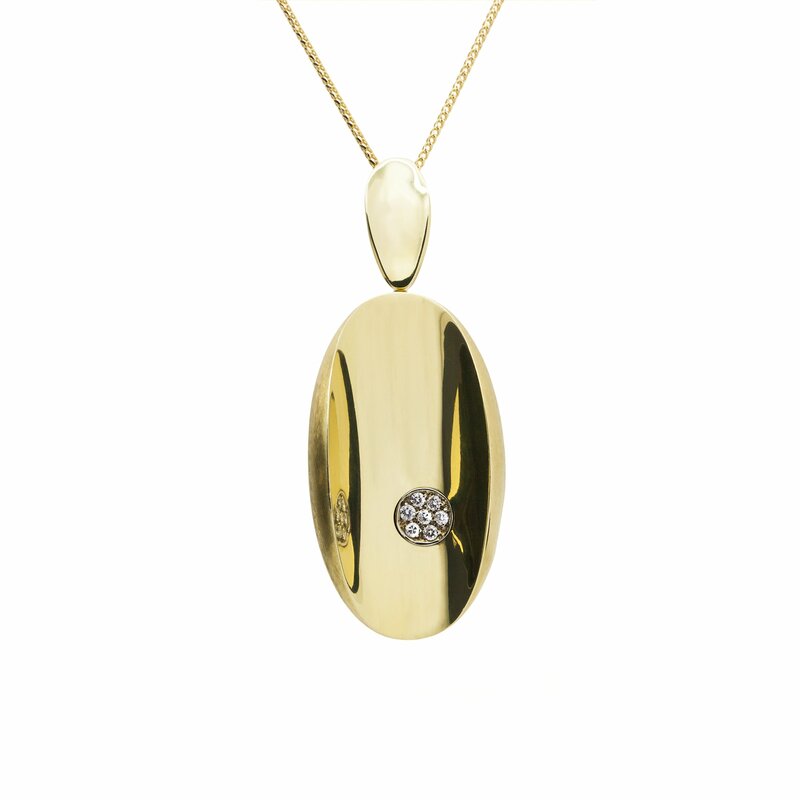 Hallmarked with the Daou name, by Goldsmiths Hall in London. 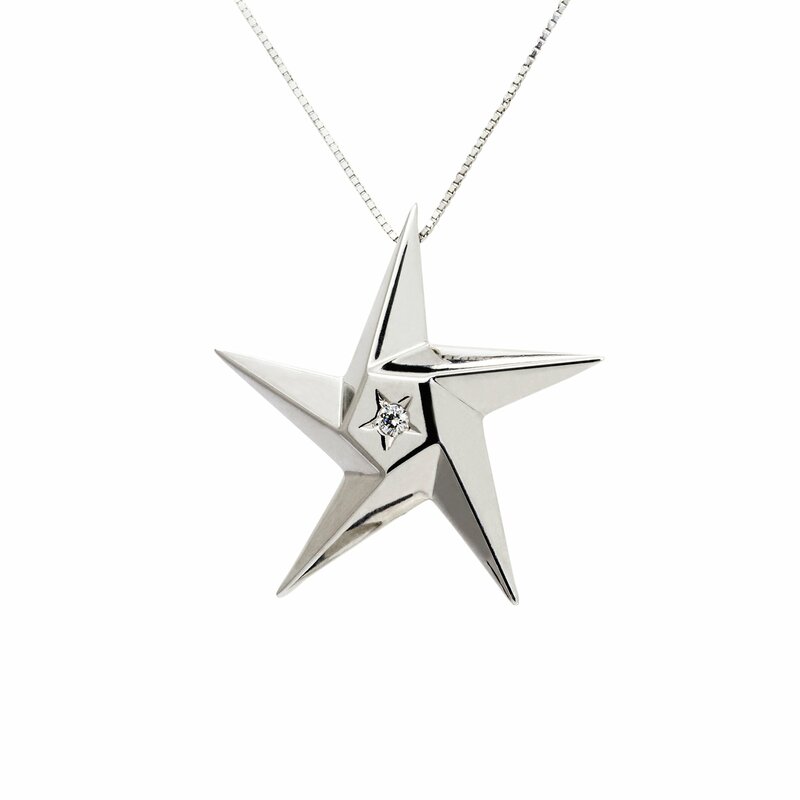 Regular star three dimensional measurements of 25mm across the points and 8mm deep. 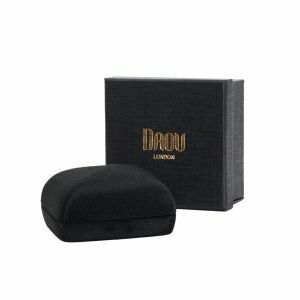 Made in London. 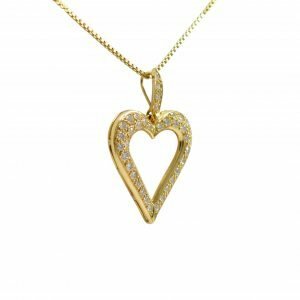 White gold venetian box chain. 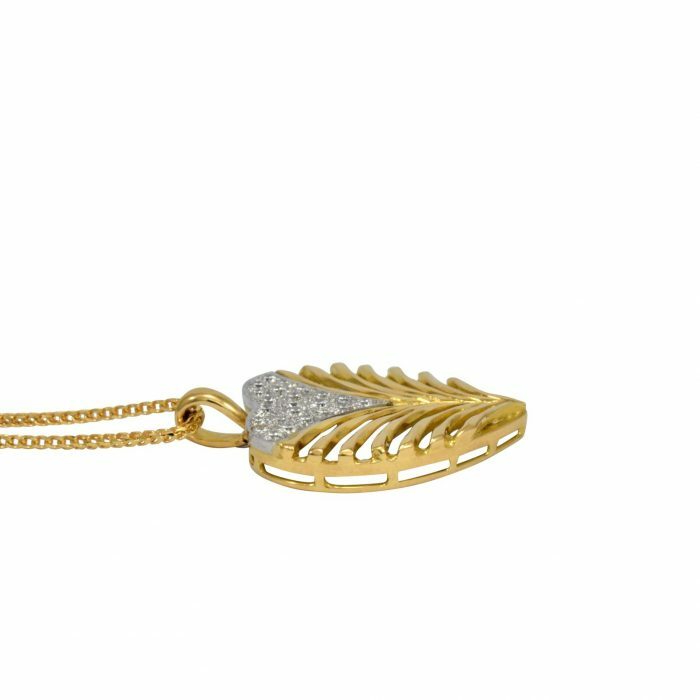 Hallmarked 18 karat, 0.9mm guage.